Yet another piece of hyperbole: but there is some truth in it. Paralysed: I haven't done anything about laying this track in its final position for weeks, if not months. Every time I think about doing it I either don't have the time or simply cannot physically approach the baseboard. Fear: I'm scared to make a mistake. So many elements have to be installed in the exact position, but the location of each element depends upon the location of each of the other elements. 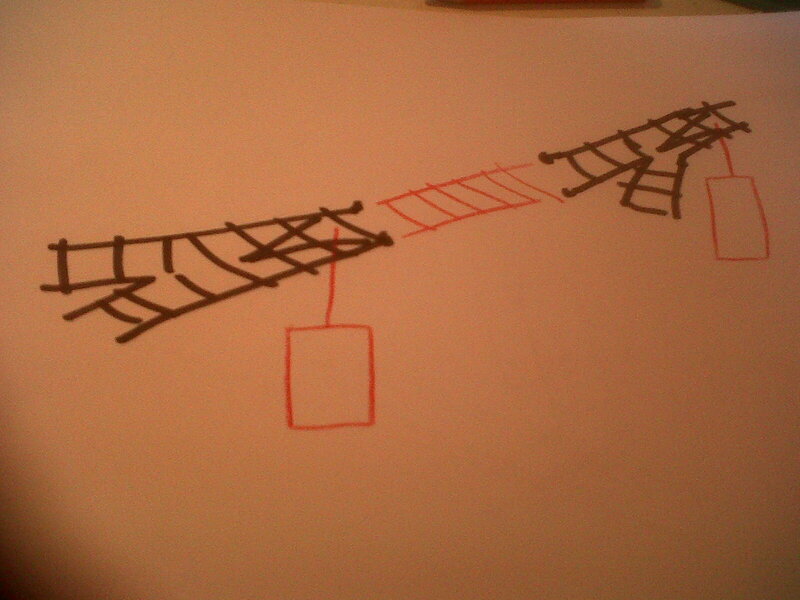 The points must be located so that the adjoining lengths of track curve smoothly into the bays between the platforms. The points motors must be located exactly underneath the points themselves. The little stretch of red track must be CUT to the exact length between the two sets of points. When I made the test track (see earlier blogs) which was a very useful exercise in terms of learning technical skills, this issue of interdependency of parts did not occur because the track wasn't going any where in particular and so the points could be fixed and then everything joined up regardless. With the final layout, the location of each set of points must take cognisance of the location of platforms, other points and the points motors beneath the baseboard. When I think of embarking upon this decision making process I break out into a sweat. Eureka! I've just realised what one problem is: it's the mode of laying down the track by hammering these little panel pins through the plastic sleepers. If one gets the track in the wrong position EVEN just slightly out, then the pins are almost impossible to remove without breaking the plastic sleepers. Not sure that that is the whole story though; nor what an alternative to panel pins would be. Listening to music in the car is one of life's great pleasures. 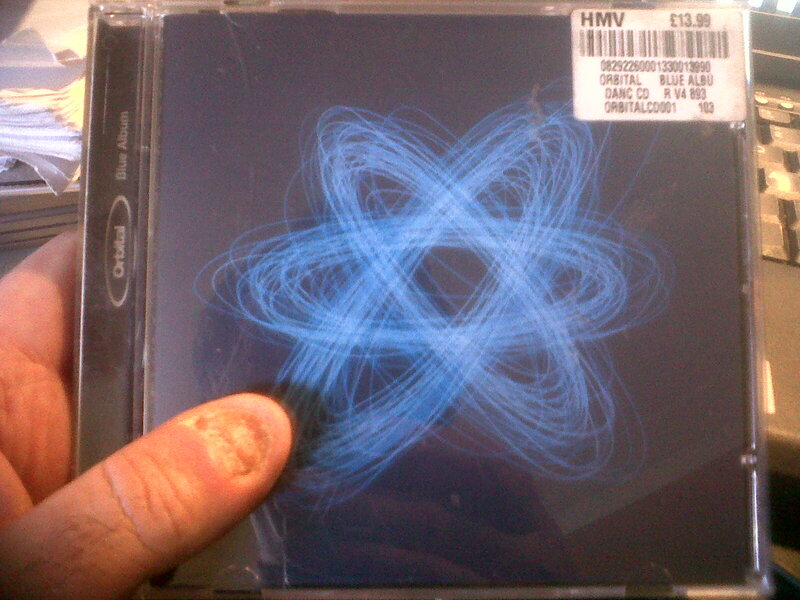 Today's listening was Orbital's "Blue Album". 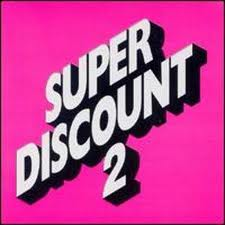 But as I struggle over this blog, I'm listening to Super Discount 2.